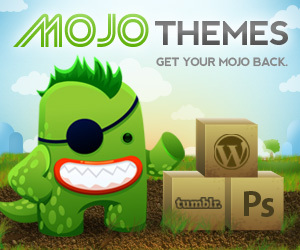 It’s hard not to like Kaboodle, a new theme from WooThemes. 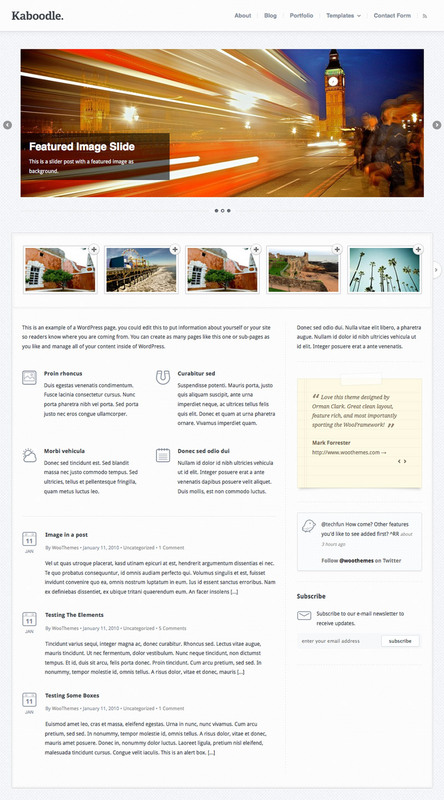 Kaboodle is a pixel perfect, no nonsense template that’s aimed at businesses, but could easily be adapted to a wide variety of other web niches and topics. From it’s slick interface to the intricate little icons, Kaboodle has professional written all over it. Included are the usual assortment of page sliders, galleries, custom post types, shortcodes, custom fonts, multiple colour styles and more, but it also comes with portfolio integration into Dribbbles. So if you use Dribbbles they will show up automatically in your portfolio. Kaboodle just looks great, try playing around with it for awhile.